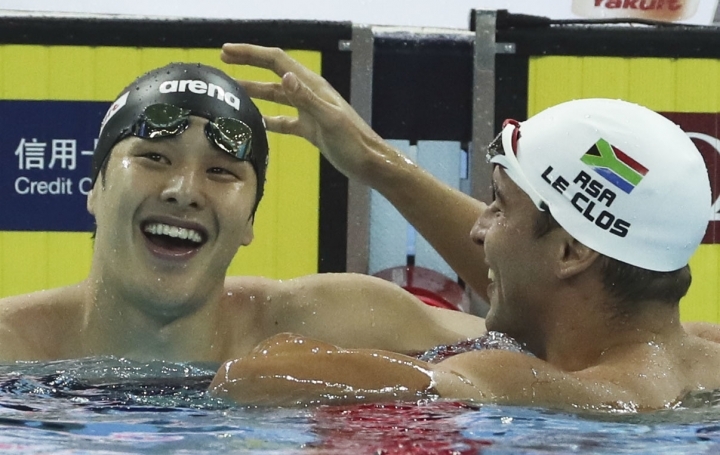 HANGZHOU, China — Japan's Daiya Seto set a world record in the 200-meter butterfly and upset Chad le Clos at the world short-course swimming championships. The U.S. men's 4x100-meter freestyle relay team also set a world record. 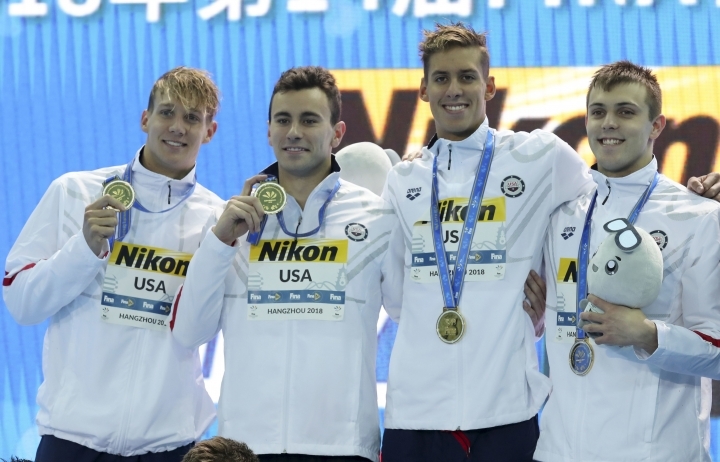 Two-time Olympic gold medalist Caeleb Dressel, who set an American record on the first leg, Blake Pieroni, Michael Chadwick and Ryan Held had a time of 3 minutes, 03.03 seconds, beating the old mark also held by the U.S. of 3:03.30 set in December 2009. The American women's team won gold in the same event. Olympic gold medalist Olivia Smoliga, Lia Neal, Mallory Comerford and Olympic gold medalist Kelsi Dahlia finished their relay in 3:27.78, ahead of Netherlands in 3:28.02 and China in 3:30.92. 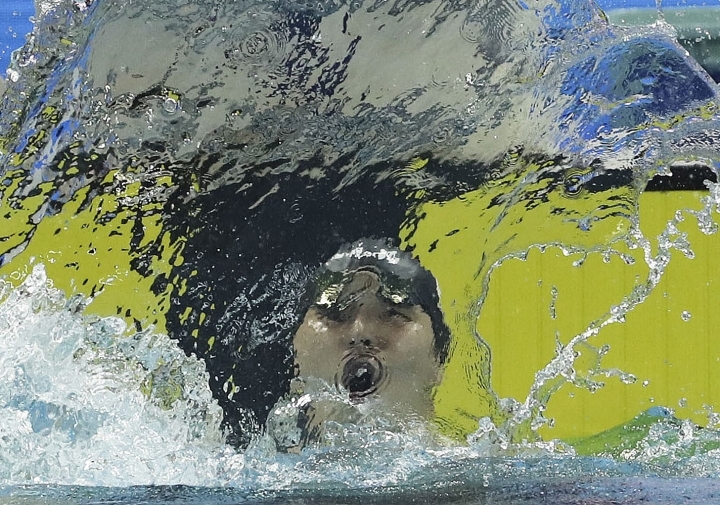 Australia's Ariarne Titmus won the 200-meter freestyle in 1:51.38, with Comerford placing second. Hungary's Katinka Hosszu, a triple gold medalist at Rio in 2016, won the women's 400 IM in 4:21.40.